Alpha Gamma Omega is a Christ-Centered fraternity. In other words, it is a brotherhood founded on the teachings and principles of Jesus Christ. AGO is a community of men with a common mind of sharing the gospel. With that unity of mind, we eagerly seek to grow true relationships on the foundation of our personal relationships with God. We desire to mature spiritually, excel in academics, and expand our connections through social events. Since we share this common belief in Jesus Christ, we take pride in the fact that we will share this brotherhood in Heaven. Our motto, after all, is “Fraternity for Eternity”. To join, either contact us by clicking on the contact button at the top of the page or come to one of the rush events that occur during rush week each semester. The Rush Week button on the top of the page has a list of events for the upcoming semester rush. We would love to talk with you if you have any questions or just hang out too. Feel free to let us know if you are interested! We look forward to meeting you! It all started when three UCLA students sought to establish a Christian club on campus. What began as an idea magnified into a reality with the help of their peers. Through hard work and determination, though, they were able to accomplish what they set out to do. Alpha Gamma Omega became the only Christ-Centered fraternity at UCLA in February of 1927. But it didn’t stop there. 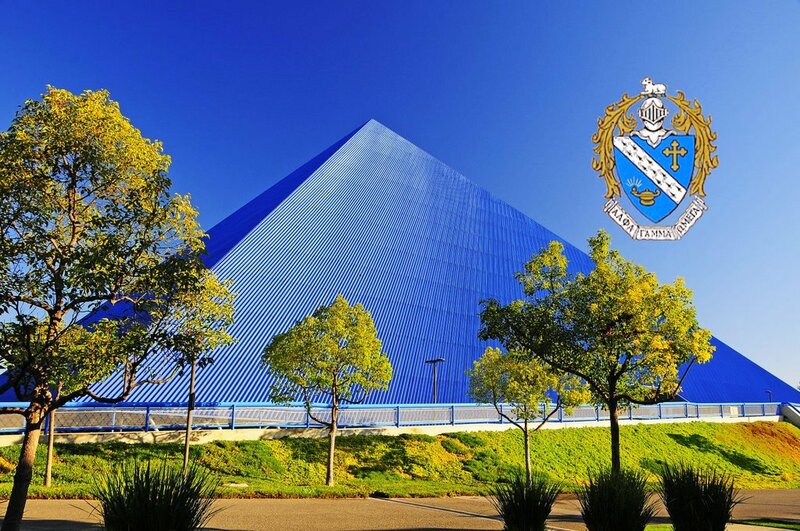 Since then, it has been chartered on 18 different campuses, one of which was at California State University, Long Beach. On May 5, 1962 Gamma chapter was chartered. 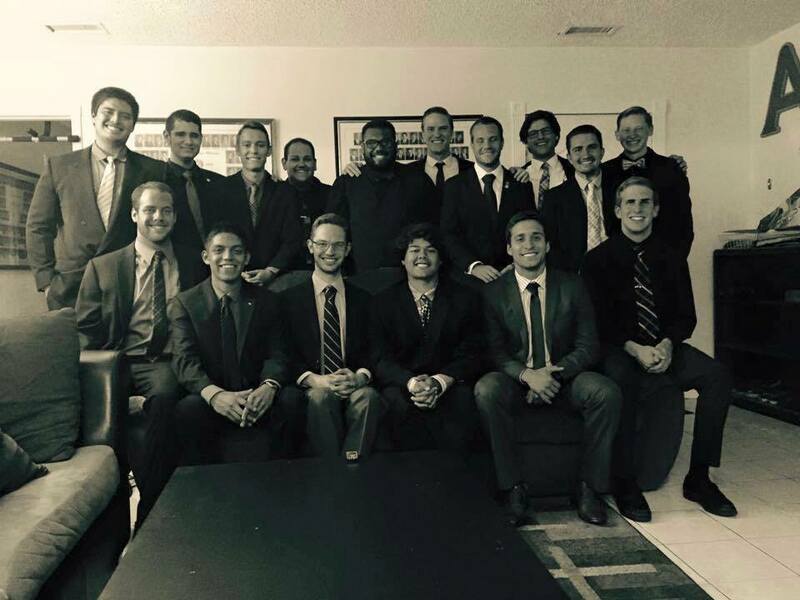 Due to certain unpredicted difficulties, our chapter went inactive twice, but was again chartered in February of 2014. The Brotherhood here at Gamma is getting off to a good start. With a successful pledging semester, we continue to grow in numbers and in unity. We actively aim to pursue God and encourage spiritual growth within each other. We desire to spread God’s name throughout our community as well as on the campus. 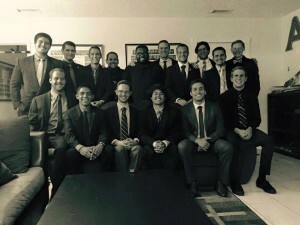 As students of Long Beach State, we believe it is our mission to be actively involved on campus through a range of activities to represent our Fraternity and our Lord Jesus Christ. It is to our benefit that Gamma remains a Christ-Centered fraternity and we hold firmly to the teachings of the Bible. "Study to show thyself approved unto God, a workman who needeth not to be ashamed, rightly dividing the word of truth."